I would but this again for a friend. 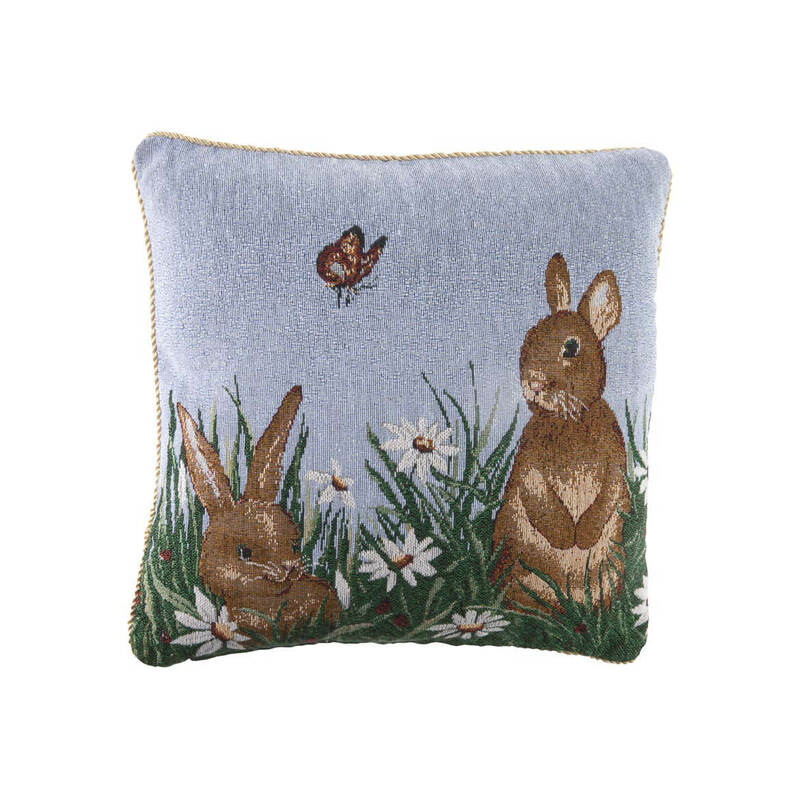 Perfect to add to the sofa for an extra Pop to the Easter festivities. This is a very nice pillow cover. Great colors, cute bunnies. Anxious to put it out this spring. Very fast delivery and a very good price for this pillow cover. I know my friends will love receiving this. Cute for the holiday. Since it's a cover, can cover pillows that I now have and will fold flat for storage after holiday. Actually thought it was the whole pillow, but have some to use. 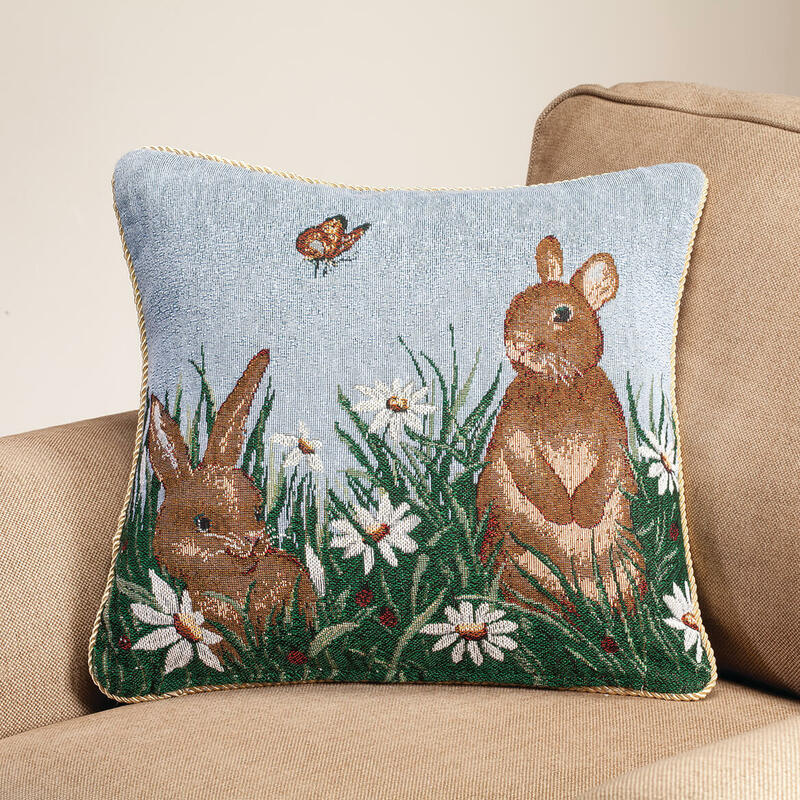 Cute for the the sofa during Easter. Very cute picture, I Love Bunnies! Like the idea of a 'pillow cover' vs. a pillow. Easier to store pillow cover than a full pillow. Plus, the bunnies are just cute! Looks like a nice quality. Use for couch decoration. Looks very nice. Cute and easy to store. I had purchased a similar Santa pillow at Christmas and thought this would be just as special ! My spare bedroom is done in bunnies. This pillow will be a great addition. Wanted holiday / changeable covers forpillows. I don't want a closet of extra pillows. The xmas covers I ordered were beautiful! 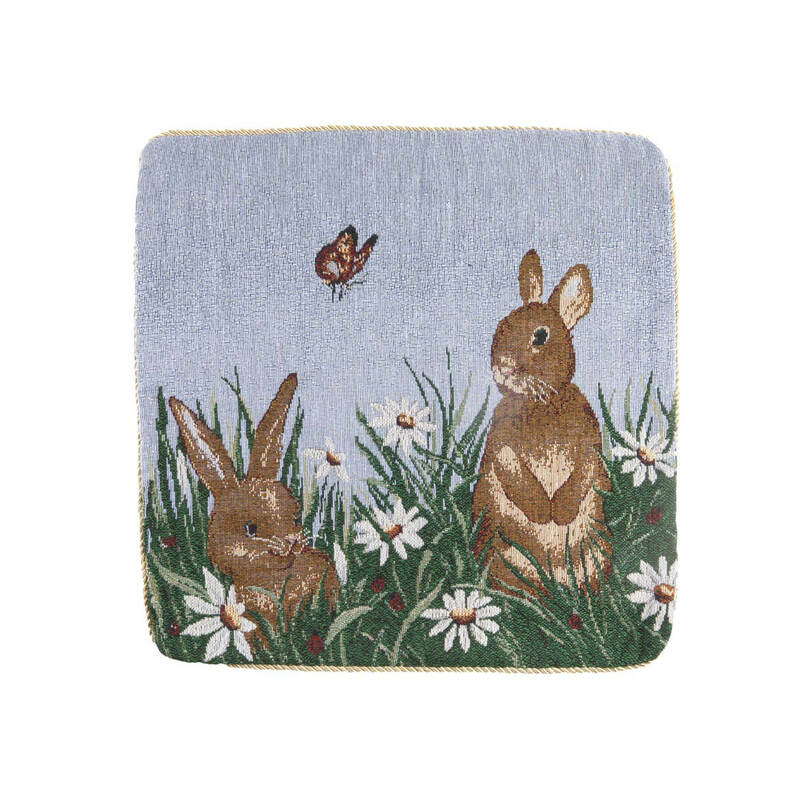 From picture and description in catalog appears that these pillow covers will be a pretty decorative item that can be used for spring and summer. I have all your latest pillow covers except this one and I like it! I have purchased pillow covers from Miles Kimball before and have been very pleased with these purchases. I look forward to getting and using these new covers. never had a problem ! I liked the one for Christmas, and wanted the one for Easter. I have them for Xmas & I love them, thought they would be great w/ my other decorations. Cute picture for grandchildren. They will enjoy the new pillow. I like pillow covers. You don't have to buy new pillows for every holiday.